About Victor V. Vigil, M.D. - Women's Cancer and Surgical Care, P.C. Victor V. Vigil is a Spanish-speaking native New Mexican. He is a graduate of the University of New Mexico School of Medicine and completed a residency in Internal Medicine at University Hospital in Albuquerque. He completed a fellowship in Hematology and Oncology at the University of New Mexico Cancer Center. Dr. Vigil has received several academic awards including a Pew-Rockefeller Grant (1989), Outstanding Teaching Resident (1989-1990), a Delia Newman Hematology/Oncology Fellowship (1990-1993) and an American Cancer Society Clinical Oncology Fellowship (1992-1993). He feels honored to have received the “Top Doc” Award and the People’s Choice Award (four-times). Dr. Vigil practices general oncology and hematology but has a special interest in cancer genetics. Dr. Vigil is board certified in Medical Oncology. Dr. Vigil loves the people, mixture of cultures, food, art, music and landscapes in New Mexico. He feels blessed to be married to a wonderful, talented wife and have 2 incredible children. 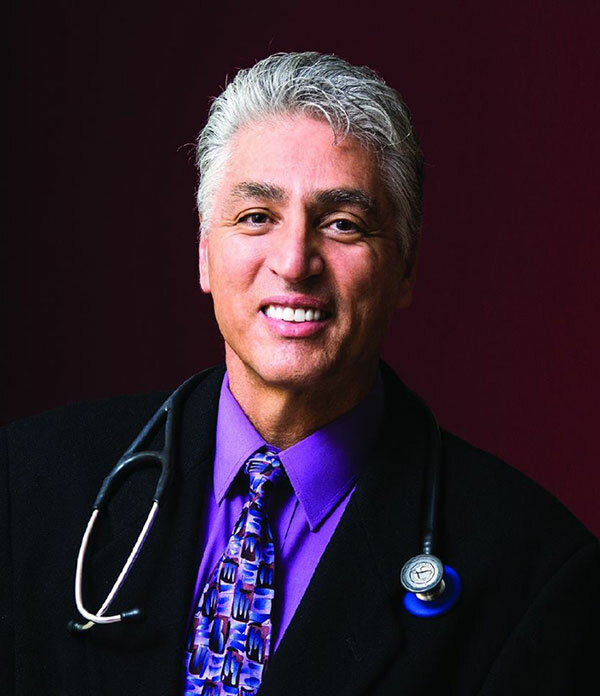 He is a member of the American College of Physicians, Physicians for Social Responsibility, the Greater Albuquerque Medical Association, the American Society of Clinical Oncology, the New Mexico Medical Society and the New Mexico Cancer Care Alliance. 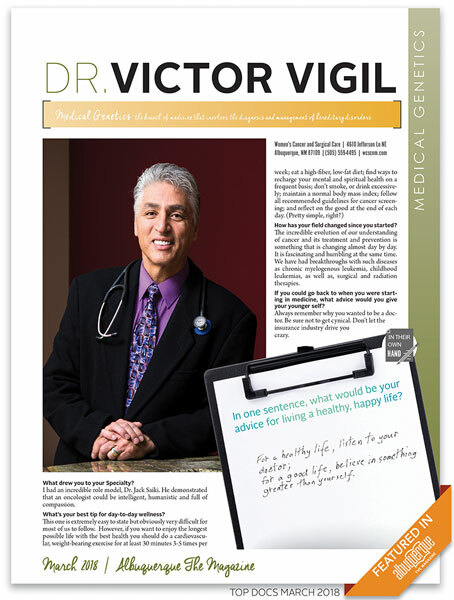 Read Dr. Vigil’s “Top Doc 2018” interview here.